Two members of an Illinois militia group admitted to bombing a Bloomington mosque in 2017 in a bid to terrorize Muslims into leaving the United States. Michael McWhorter and Joe Morris rented a truck and drove more than 500 miles to bomb a Minnesota mosque. Both men pled guilty to five counts related to the mosque attack, as well as the attempted bombing of an Illinois abortion clinic and other crimes. A third suspect, 47 year old, Michael Hari, whom prosecutors said directed the bombing, remains in federal custody. Hari is a former sheriff’s deputy from Illinois who runs a security company and submitted a bid to build President Trump’s border wall. The plea agreements portray Hari as the ringleader of a militia group called the White Rabbits, which included Hari, McWhorter, Morris and at least five other people. Hari’s trial is set for July. The plea agreements say the men targeted the mosque to interfere with the free exercise of religion by Muslims and to let Muslims know they were not welcome in the United States. 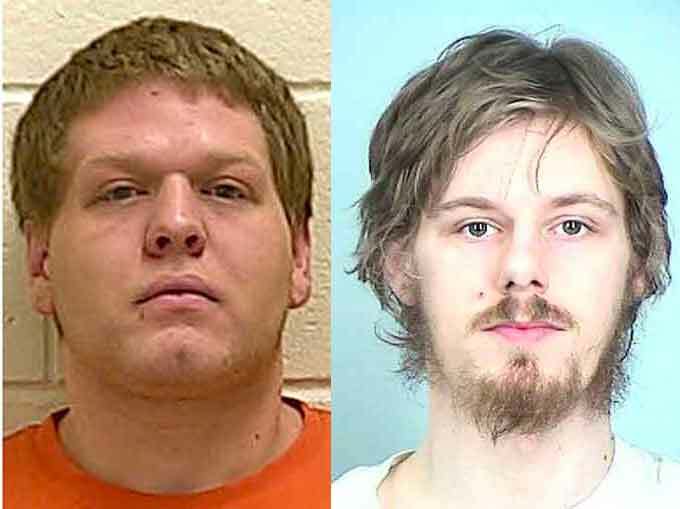 According to the plea agreements, the men were headed toward Minnesota when Hari told McWhorter and Morris that he had a pipe bomb in the vehicle and they were going to bomb a mosque. When the three men arrived at Dar al-Farooq Islamic Center in Bloomington on Aug. 5, 2017, Hari gave Morris a sledgehammer and told him to break a window. McWhorter then lit the fuse on the pipe bomb and threw it inside. Morris then threw the gasoline mixture inside, causing an explosion, fire and extensive damage. No one was injured in the attack, which happened just as morning prayers were about to begin, terrifying members of the local Muslim community. Hari allegedly picked Dar al-Farooq because it was far enough away from the White Rabbits’ central Illinois hometown that he thought they wouldn’t be suspected. He also allegedly believed it was a focal point for terror recruiting, a claim that law enforcement has not substantiated. Morris’ attorney, Robert Richman, said Morris merely followed the lead of Hari, a man he’d known as a father figure since he was 9. “Hari essentially weaponized Joe Morris,” Richman said. McWhorter and Morris also pleaded guilty to their roles in a failed attack on a Champaign, Illinois, abortion clinic in November 2017. A pipe bomb that Morris said he and Hari threw into the clinic did not explode. Court documents also state that Hari, McWhorter, Morris and others also participated in an armed home invasion in Ambia, Indiana, and the armed robberies or attempted armed robberies of two Walmart stores in Illinois. Morris and McWhorter also admitted to attempting to extort Canadian National Railway by threatening to damage tracks if the railroad didn’t pay them money. Morris and McWhorter could each face at least 35 years in prison. A fourth man, Ellis Mack of Clarence, already pled guilty to two counts in Illinois and is scheduled to be sentenced in April.